I’m a big fan of using and updating thrift store finds and turning them into beautiful creations. This month I was challenged to create an upcycled home decor piece and I came up with this upcycled fabric wall hanging. I starting with a white cloth napkin and a stick, seriously that’s all it took to create this lovely wall hanging. 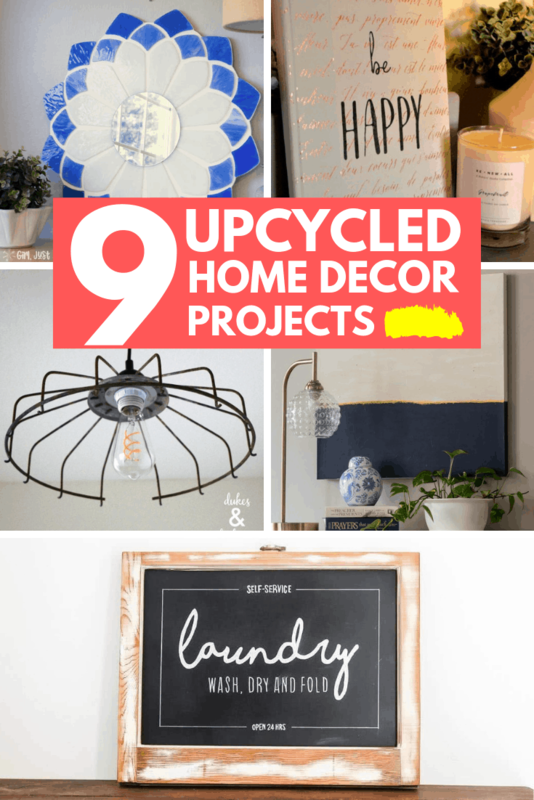 Today I’m sharing 9 upycled home decor projects that are truly stunning. You have to see what these creations started as. Be sure to click through to see the full post and read the tutorial so you can create something just as lovely for your home. Sometimes a piece of home decor can be inspired by a walk through the aisles of your favorite thrift store. I created a fabric wall hanging after picking up a crisp white napkin at my local thrift store. Decor could also be inspired by a stray hula hoop in your garage, or a picture frame in a pile ready to be donated. Think outside the box and you could come up with something amazing. A particular style may resonate with you, like a classic Tiffany lamp. A real Tiffany lamp can cost a fortune, but with a little creativity you can create a piece that brings that look and feel to your home. Updating a book or a dated canvas can result in gorgeous home decor too! Before you buy that perfect piece of art for your home, look around and see what you can DIY. 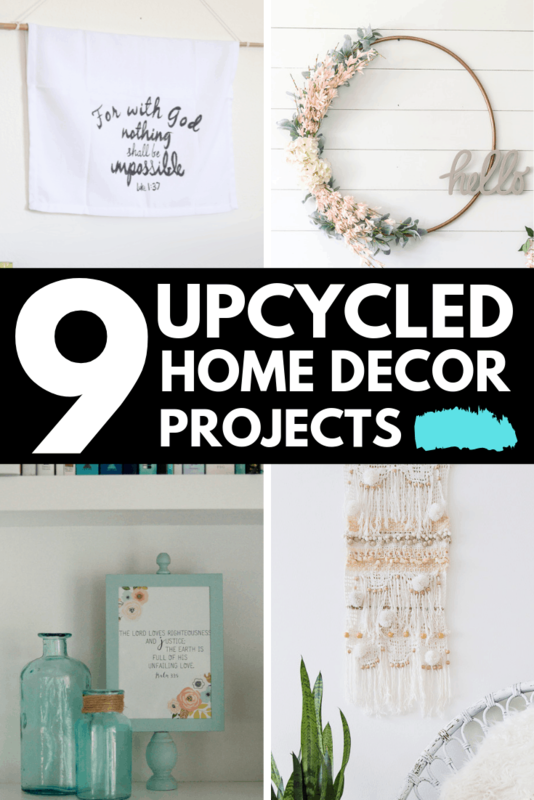 These 9 upcyled home decor projects should inspire you to create. Be sure to check out the full posts to see exactly how these pieces were made and get to work on your own! Wonderful home decor project Sarah. I am inspired by your decoration ideas. Keep up your good work with helpful ideas. Thank you for sharing.